You can simply add a bed bench as additional furniture to your bedroom that can provide you with some extra place for you to relax or do some reading in your free time. You can also turn it into a small storage area where you can stack small items on it. In order to create a bed bench from coffee table, you can start by looking for old coffee table that can be easily find such as from your own garage, thrift store as well as from garage sale done by your neighbors. With your creativity, you would be able to remodel the coffee table into a bed bench easily and add the item to your bedroom or even place it in your living room. First thing that you need to do is to search for an old wooden coffee table either from online sale, garage sale, at your nearby thrift store or even from your attic or garage. You can create dimensions based on the size of your bed and depending on how much flat surface that you want to create for your bed bench. You must make sure that the coffee table must be a little bit shorter than your bed. For those of you who want to be able to sit on the bed bench, you do not have to look for a short coffee table because you will be uncomfortable sitting on a short bed bench. Last but not least, your coffee table needs to be strong and sturdy. 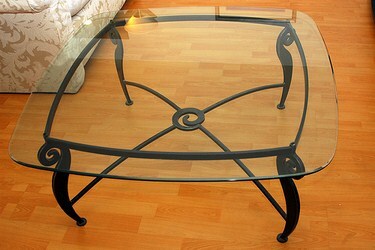 Do a final check on your coffee table to see whether the coffee table has any damage such as having wobbly legs. You need to do some repair work whenever it is necessary. The next step is for you to refinish the coffee table but first you need to remove the legs if is easy for you to do so. After that, you have to sand the entire coffee table. If you want to maintain the wood look of your coffee table, you just have to stain and varnish the furniture. You can also paint the coffee table with your favorite color that matches the fabric that you want to use to cover the bed bench. Then, you need to lay foam pad on top of your coffee table and making sure that the dimensions of the foam is the same as the furniture. Next step is for you to attach the foam onto the coffee table with glue or hook and loop strips. Once you have finished doing the above step, you can wrap the foam pad and your table top using suitable fabric. You need to roll the edges of your fabric under in order to create a clean edge. Then, you can attach the fabric to the bottom of your coffee table with your staple gun. You must also complete the opposite sides of your coffee table. This is to ensure that the fabric is evenly and smoothly attached. Make sure that you staple both of the two sides of the fabric. You must make sure that your bed bench is sturdy enough to bear the full weight of the sender or the recipient. Finally, you can decorate the bed bench with decorative items such as braid, ric-rac, buttons or trim. You can decorate the bed bench with cushion. If you want to place the bed bench on your porch or deck, you must make sure to use vinyl or other waterproof fabric for your cushions. You can also put the batting over the foam and have at least 9 inches extra all the way surrounding it for easy stapling. You need to staple the batting onto the underside of your coffee table starting from the center of a lengthwise side. The corners should be left for last in order for you to tuck them precisely before you start to staple them. If you are using paint, always remember to paint the item before the beginning of the project. You need to have a screwdriver along with a pair of pliers in order to help you remove any existing staples. Make sure that you have measure at least two times and cut the flowers only one time to be given away to your recipient. Practice carefulness whenever you are dealing with adhesive spray on other objects. This entry was posted in Home Improvement on December 14, 2011 by Mike.